Daria Arabulo grew her business over twenty years of hard work, and transformed her family's future. 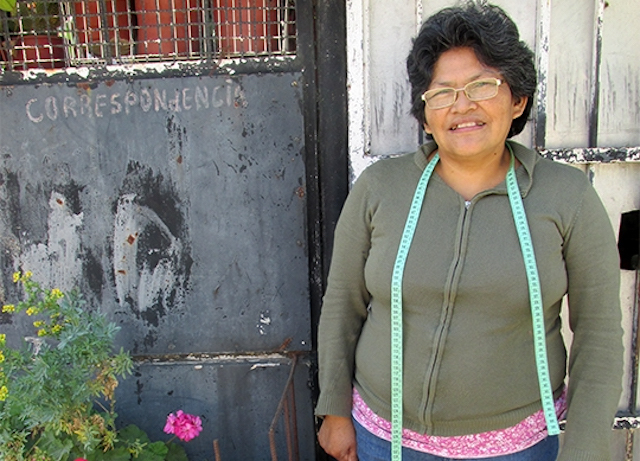 When a devastating flood ripped through the southern desert region of Peru in 1997 – destroying Daria Arabulo’s home, belongings, and livelihood – she could never have imagined that today her family would be running two successful businesses. Determined “not to let my family die here of hunger,” Daria set off alone for Buenos Aires, Argentina, where she hoped to find new opportunities to provide for her family. But by the time she reached Santiago, Chile, she no longer had the resources to continue her journey. With no money and two changes of clothes, Daria got to work. At first she worked at a monastery, which allowed her to begin sending money home. 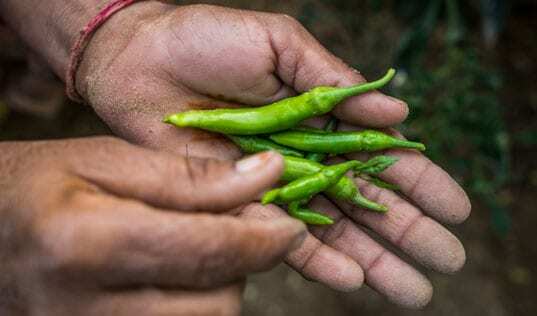 After a year, she was able to bring her husband to Chile, and within two years, had reunited the entire family – including her mother – in Santiago. While working at the monastery, Daria began to sew for the monks – a job she particularly enjoyed – and eventually bought her own small sewing machine in order to expand and continue her work at home. As her demand and clientele grew beyond the monastery, the small motor on her sewing machine limited her productivity. Even while Daria balanced her work with her household responsibilities, the machine simply couldn't keep up with her unstoppable drive to provide a better future for her family. Unwilling to settle while she knew she could do more, she invested in a new sewing machine with a larger motor. 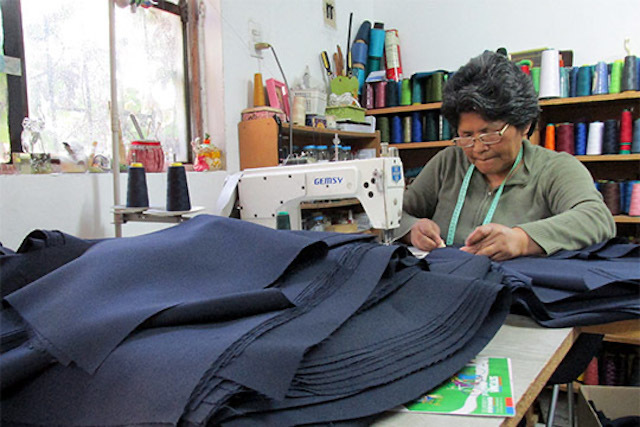 Daria believed in the potential of her burgeoning business, and with the arrival of her new machine, she left her work at the monastery to devote herself to running a clothing business from her home full time. Over five years, Impulsa tu Empresa Chile helped to generate $2.7 million in increased revenue and wages for growing businesses in Chile. In 2015, after nearly 20 years spent rebuilding her home and livelihood, Daria joined TechnoServe Chile’s Impulsa tu Empresa program after seeing a flyer at the local municipality office. The program promised “practical training and quick results” for entrepreneurs, and Daria recognized an opportunity to once again take her business to the next level. In group lessons and one-on-one trainings with her TechnoServe Business Advisor, Sebastian, Daria began to absorb and implement new business practices. With more financial knowledge, she better understood her business and was able to increase her profits by calculating her costs, margins, and profits. Alongside Sebastian, she even reassessed her entire business strategy. Whereas before Daria would take on small jobs that required significant preparation for limited return, she decided to increase her efficiency by attracting orders to sew mass quantities of goods, such as company bags and uniforms. 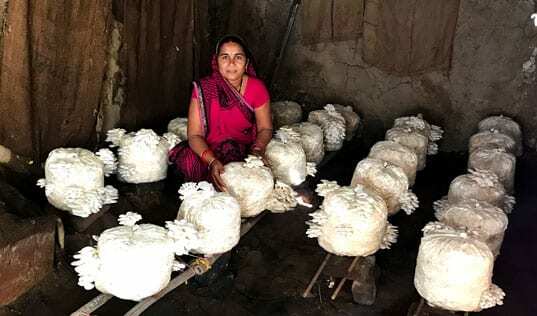 To implement her plan, she began marketing her business through social media to connect with larger clients, and began calculating the amount of time she would need for more extensive projects, allowing her to better manage her time and costs, and to bring on other workers for large orders, providing income for workers both within and beyond her family. With time, Daria has grown her business from one small sewing machine to eight – all within her home. Thinking back on her trajectory, she says, “you don’t need money to make money just the desire to work hard and plan well.” And Daria’s hard work has meant financial stability for her family, despite their previous hardships. Daria stands outside her home and sewing workshop in Santiago, Chile. 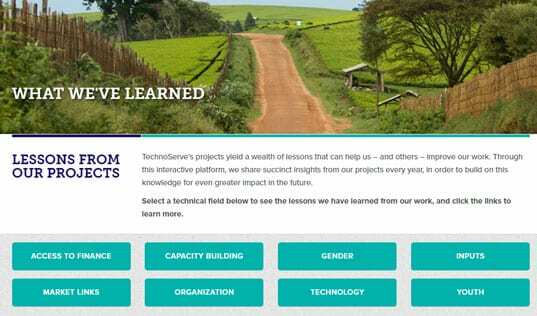 Read more about how TechnoServe is helping enterprising women to transform their futures.